Structural repair ties are extra long helical wall ties that reinforce vulnerable masonry walls. 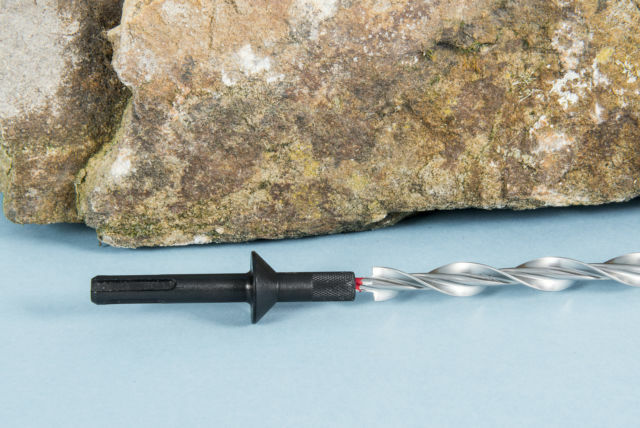 The drive-in ties corkscrew deep into masonry to form a mechanical connection that needs no cement-based grout. 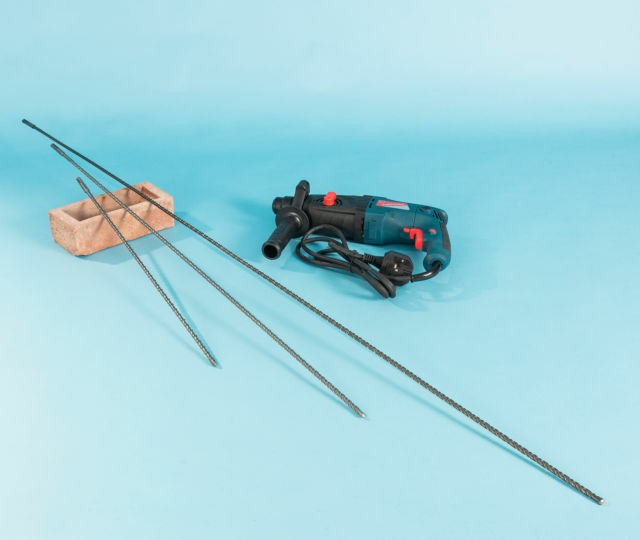 The resulting mechanical interlock connection makes the ties ideal for reinforcing walls on heritage houses, listed buildings and ancient monuments. 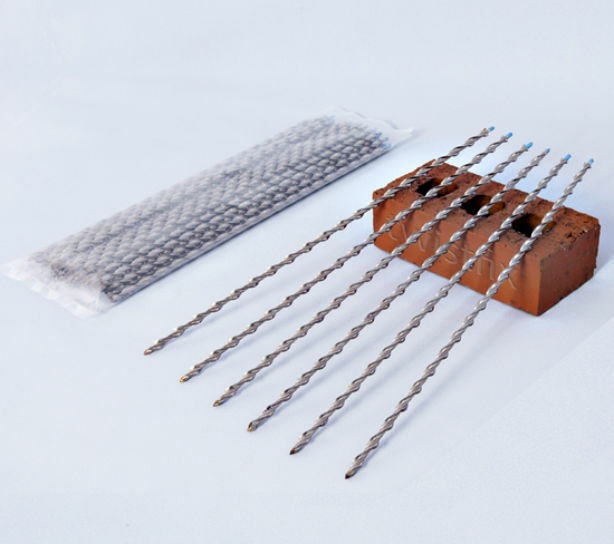 The 12mm diameter structural wall ties are manufactured in 316 marine grade stainless steel and are available in 1070mm (42"), 1220mm (48"), 1370mm (54"), 1520mm (60") and 1670mm (66") lengths. They have a cross sectional area of 28mm2 and have twice the strength of any other self-tapping spiral wall ties of similar design. 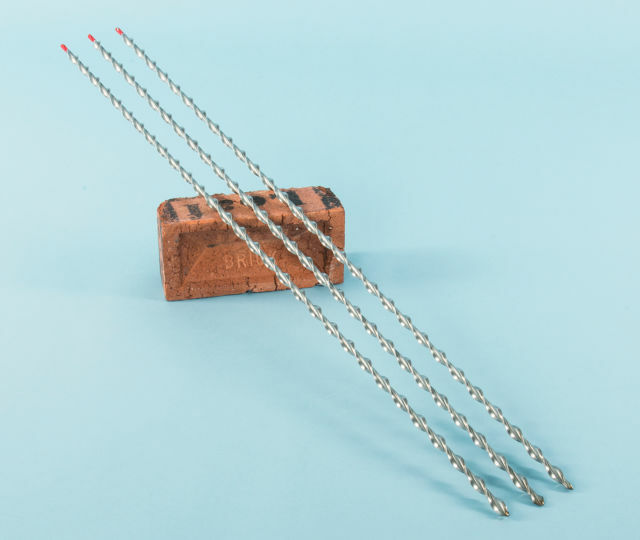 Drive these extra long masonry tie bars into 8mm or 10mm pilot holes to fix them into brick, block and stone walls. Once fitted the hammer-driven ties increase the tension and shear capacity of masonry structures. Long helical wall ties are UK designed and manufactured by Thor Helical under Patent No: GB 2439633.